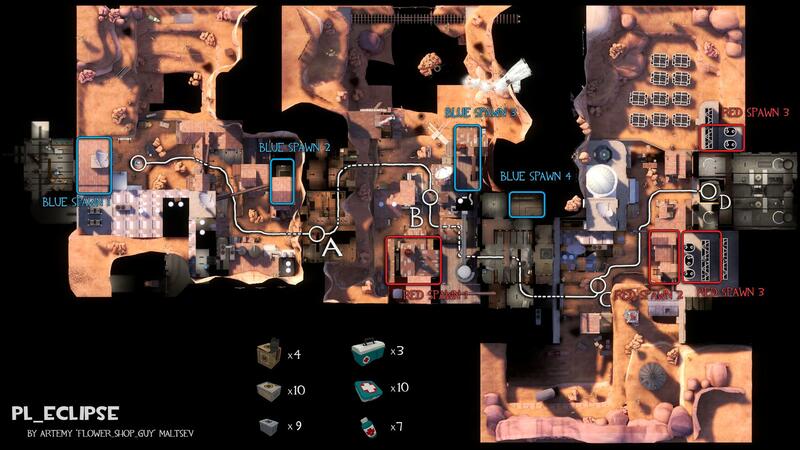 The large single-stage Payload map with a varied style and gameplay. 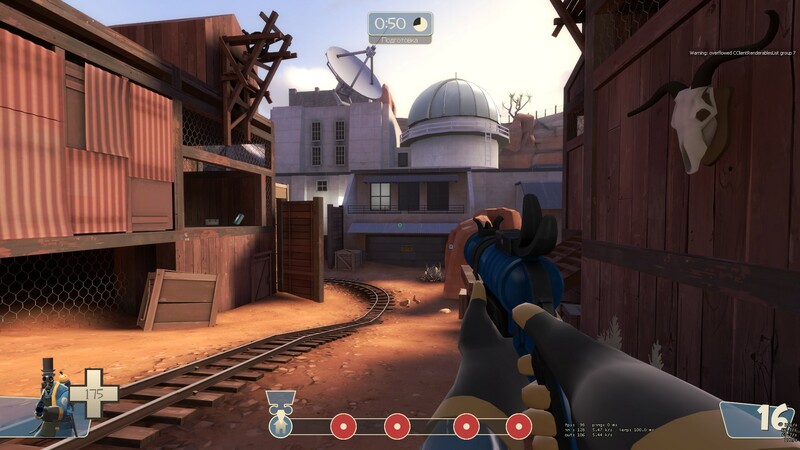 "Eclipse" - is a large single-stage Payload map with a varied style and gameplay, themes set in the industrial desert of the 20th century, consisting of 4 points. Red team has aquired a huge supply of electricity, becoming the leading source of nuclear and solar energy. Blue team's feeling a bit jealous... (well, mainly because they do not have such a cool POWER STATION!) so they decide the best course of action is to destroy everything. Red team must defend their power station at all cost, and they must do it quickly, because the eclipse is coming! 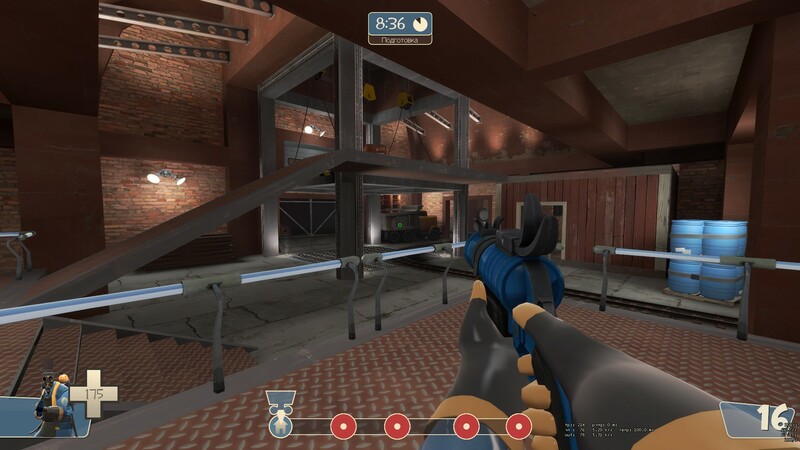 This is looking great so far, I can't wait to test it. This looks pretty cool. 'Specially for something that came right outta the blue. 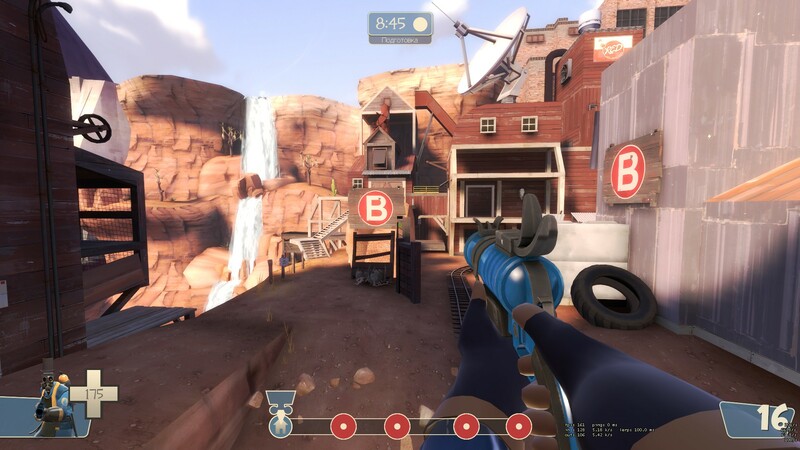 I uploaded it (a1) to the tf2m servers so it'll get tested at some point. Thank you all for testing! I will try to fix all huge problems like: fullbrightness and fsp dropping probloem soon. + fix some balance problems. This looks so freaking good, Nice style! 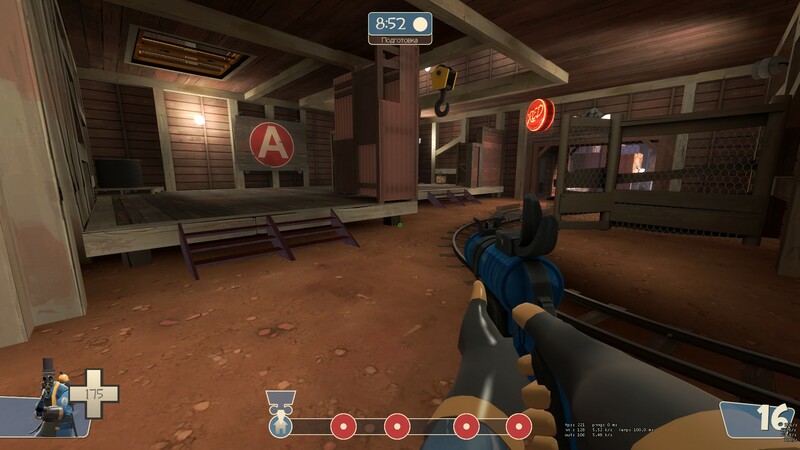 Okay but it's not happend to the game (your fullbrightness). I said it's happening in real life ._. 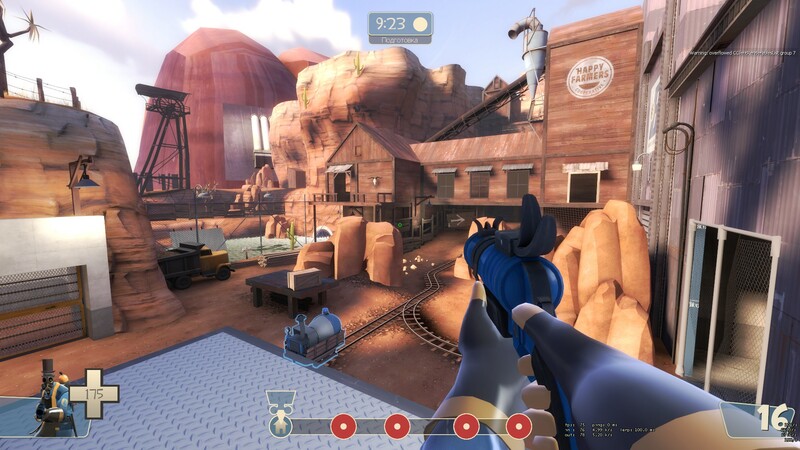 Map has been updated + video added. Um - I just saw this over at gamebanna - said someone else created it - or it's under 'submitted by' dude's name and under that it says creator giving the impression that it was created by him. This post on gamebanana is mine too. THE_MASTERPLAN is my old (first) nickname. Mah bodeh is ready for a3 !! Was a really solid start, needs some work. Specifically, directing players around, as it was definitely confusing where to go at times. 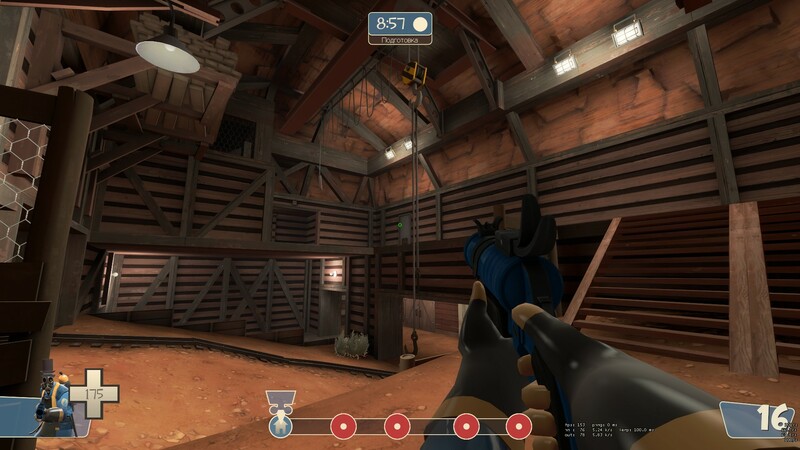 There's a lot of sliding doors, with or without grates sometimes, on the map. I wasn't always completely sure what purpose they served or whether they'd open both ways or not - especially some of the solid doors like near the sniper battlements of the first point felt kind of pointless and meant the area felt more claustrophobic than it had to be. 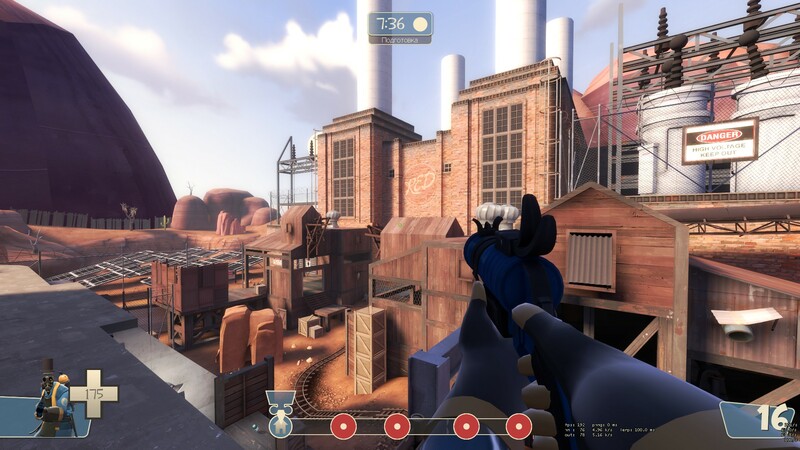 Speaking of sniper battlements, there's a lot of battlements around the map that aren't particularly used for sniping as there tend to be better and safer spots nearby. Especially at last and first there were some big sightlines that could be helped if the battlements were actually the best spots. Hey, I'm back. 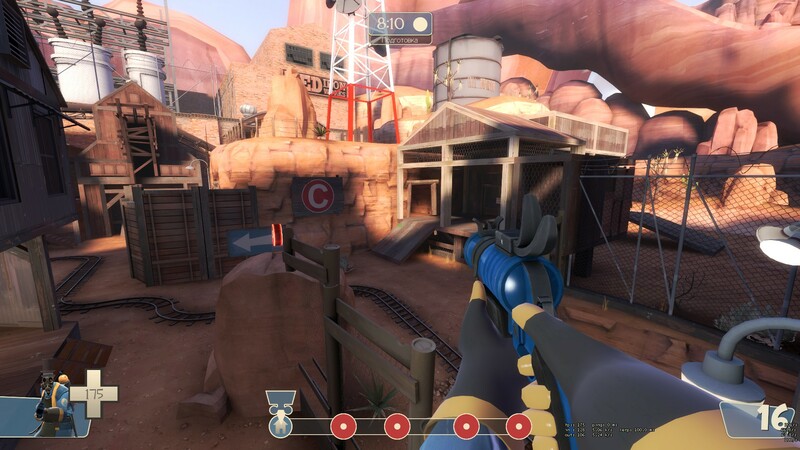 A couple quick made screenshots of the upcoming major update. My "ECLIPSE" going to the beta. Also, do not pay attention to visual defects, I'm still working on it. Looks awesome! 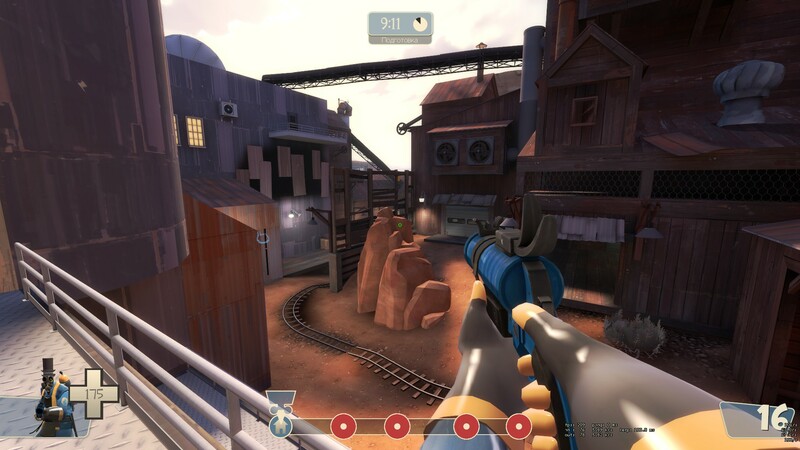 A word of advice though, when taking screenshots, first go to Spectator mode, enable sv_cheats and disable cl_drawhud, so you don't have the view models or HUD on display.